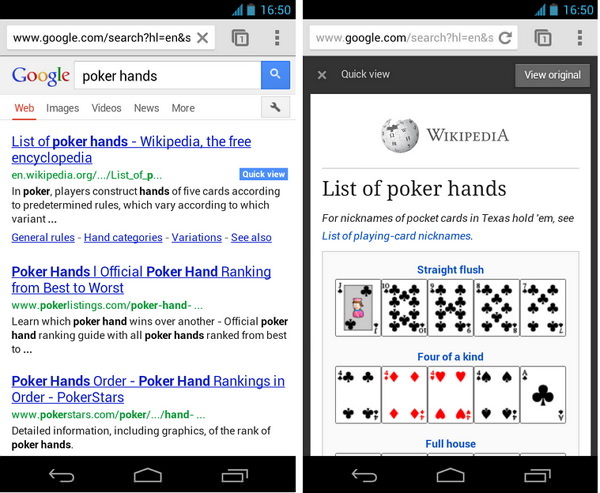 Google today updates its mobile site with new features including Quick view badges. o The Quick view badges will show next to search results. if you click on the Quick view badge you can see the preview of your result conten without going to original site. Quick view is an experimental project and is currently enabled for pages from Wikipedia only, and this will be available for all pages in future. 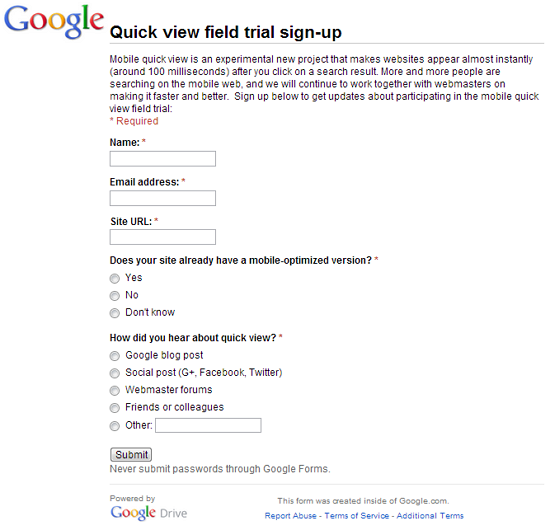 Google asks web masters to send their details by filling this form, to enable Quick view feature to their site. If you are a blogger or web master? send your details to and enable this feature before than your friends. If you have enabled Quick view badge to your site, visitors can preview your content within Google result page. Google will add Quick view badges to your site before than your friends.